Lucky for us, this centuries-old cheese from Italy’s Alpine Aosta Valley came with cheesemakers that emigrated from northern Italy to Wisconsin at the end of the 19th century. Once here, they quickly began putting a Wisconsin spin on this Italian classic through trial and error and, in time, with creative rubs and flavor infusions. 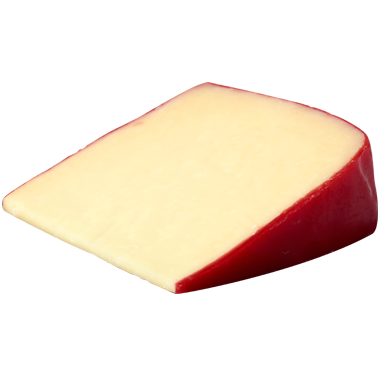 Wisconsin fontina has a full, yet gentle flavor, with a touch of tartness that ramps up with age. If you want a versatile cheese that performs as well cooked as it does on a cheeseboard, Wisconsin fontina will always do you right. Fontina is best served at room temperature with a sturdy knife. With fontina, we love to drink vouvray, chardonnay, riesling, chianti, montepulciano and cabernet sauvignon. If beer sounds better, we recommend bocks, saisons and lambics. Fontina is one of the world’s most versatile cheeses, so we love to feature it as a snack, dessert or any-time cheese. We also love to cook it in all sorts of dishes, Italian or otherwise. Polenta loves Wisconsin fontina! Layer thin slices of fontina between cooked slices of polenta, top with marinara and grated fontina and bake until the cheese melts.. Other yummy fontina dishes: pasta, pizza, quiche, gratins, sausage and bell pepper strata and warm chicken sandwiches.